Please join us at the Mathis Merchants Mixer to discuss upcoming events in 2018, that will bring a large crowd to our area. We will work together to promote Mathis businesses and invite visitors to your stores. We will also explore sponsoring and supporting these events. Be sure to bring your business cards! Mathis EDC will host the first public "kick off' meeting with planners from the Texas A&M University Texas Coastal Watershed Program. Citizens are highly encouraged to attend the meeting to discuss thoughts, ideas, and concerns about downtown. Participants will have the opportunity to share preferences, receive clarity on developmental concepts, and gain insight to guide the development of the plan. Downtown Mathis, once the center of life in Mathis, seems about ready to just blow away. Downtowns are being revived all across America. What about our little downtown? Could it be revived? Mathis downtown will not be revived on its own. Both citizens, elected officials, and appointed officials will have to get involved. There are ways to make Mathis’ downtown come alive again. There will be a price to pay (and not just in dollars), but the return on investment could be much more than what is put in (again, in much more than just dollars—but likely much more than 100% return in dollars). This site has a lay out some of the elements that must be addressed for this transformation to take place. 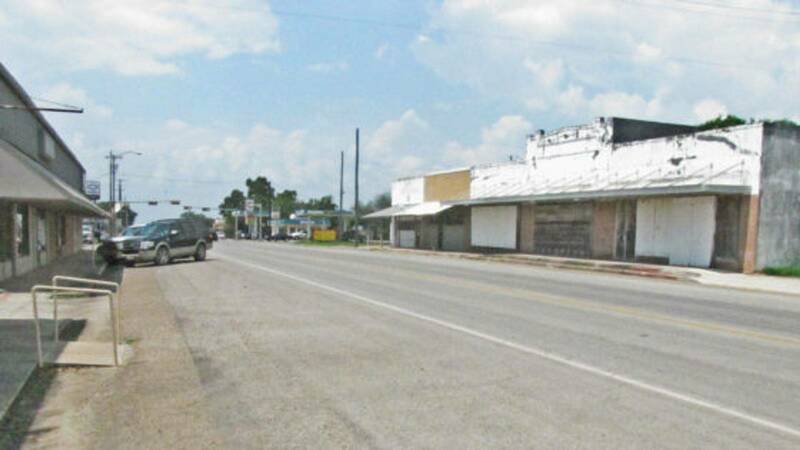 The great news for Mathis is that its downtown has some great bones to build on. Yes, there has been decay, but key elements for walkability remain in place. This downtown can be revived. It still has a pulse—a pulse that can be a very strong heart pumping life into all of Mathis. You opinion counts! Please take the "Mathis Visual Preference Survey"
What is a Visual Preference Survey? The Visual Preference Survey is one of the tools used for the public to give feedback on planning and design alternatives and to participate in the formulation of the Downtown Enhancement Plan for the City of Mathis. A Visual Preference Survey is a tool that allows citizens to rate visual concepts of existing and non-existing types of building designs, landscape characteristics, community fabric, architectural styles, signs, growth patterns, etc. Why should I take the Visual Preference Survey? Your participation in the Visual Preference Survey provides one way for you to influence (1) the content of the Downtown Enhancement Plan and (2) the future look of your City. How to take the Survey? You must indicate your preference among a series of images used to illustrate various options for development of open space. To do this you will need to rank each photo by how appealing it is to you. The value of the survey is in the range of opinions, the shared common ground, and the desires expressed by the public, giving a sense of what they would like to see in the community. The objective is to further define the vision for the future development of the City.